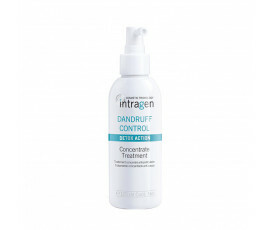 Intragen Cosmetic Trichology Dandruff Control effectively removes dandruff while soothing the scalp. Thanks to Piroctolamine and Climbazole, this line prevents and avoids dandruff. Panthenol, a precursor of Vitamin B5, hydrates hair while adding shine without greasing it. Intragen Cosmetic Trichology Dandruff Control provides hair with suppleness, volume and manageability, leaving it stronger and fuller-bodied. 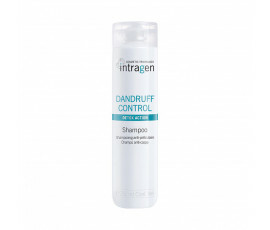 Intragen Cosmetic Trichology Dandruff Control gives a long-lasting anti-dandruff protection. With Intragen Cosmetic Trichology Dandruff Control, 70% of voluntary consumers report a considerable reduction in hair flaking and long-lasting anti-dandruff results after only one week of use.